I want to add specific text in an email template, depending on if a field is checked or not. It's a checkbox field, so if we just added this if would be 1 if it was checked, and 0 if it wasn't. Is there a way to set this up that if the reimbursement field was 1, the text in the email would say something like "This item was for a reimbursement", and then if the value was 0 a text of "This item was not for a reimbursement"? No, We need to create a formula field as mentioned in my previous reply. Click on Object Name "Purchase Request Form"
I have two processes for cases, and I want to use them in the process builder, How can I have a criteria to filter them. What are you trying to accomplish with the process builder? You could assign specific record types to specific profile so the only see either "Product Support" or "Billing". Curious to know your thoughts around this. Having issues with the Activity Email. When you try to compose an email you aren't allowed to enter the required Subject or Body. Anyone know how you go about fixing this? Can you click on long note then again click on Email button there? I think you can drag the Long a Note to first place and email will be in second on page layout. You can send email now. By default teh email component is not loading properly. That is a bug from saelsofrce. You can click on it one more time. you will see actual email edit page. Can Lighting Email Templates Be Used for Email Alerts? When creating a workflow rule to send an email alert or a process builder process to perform the same action, I cannot choose from my Lighting Email Templates, only the Classic Email Templates. Is there a way to create an Email Alert using a Lighting Email Template? Are you using classic or lightning? Unformtryblty you can not use lightning email template in an email alert. Multiple users of Salesforce Inbox + Gmail are having issues with (1) gmail freezing, (2) emails not syncing to salesforce. Per a user, "With it enabled I am getting extreme lag when sending messages specifically when inbox loads after I hit refresh and then again when trying to log them. Not getting a specific error, but my gmail page was freezing before and unresponsive so I would have to kill the page to continue." Any ideas on how to troubleshoot? Good call! I actually submitted a case and spoke with someone. I'll share details here. Hope it helps everyone. See below. Your email wasn't delivered. See attached. You're getting this message because you turned on Bounce Management and selected Return bounced emails to sender." However, the email she sent was delivered as she got an auto-response from the recipient confirming the email was successfully received. After receiving the auto response from the recipient, she then got the Salesforce Bounce Forwarder email. Has anybody received a Bounce email from Salesforce even when the email was in fact delivered? I also requested an Email Log and was able to again confirm that the email was delivered. This option, when an email bounces, will be captured by Salesforce and sent back to the original sender. In our case that was our Email-To-Case email address so every bounce generated a case. Hopefully this resolves the issue for others. Salesforce Inbox is causing Google Chrome to time out for many of my users - removing the Inbox extension fixes it; anyone else have this issue? I have used Inbox for a couple years. Have about 40 users; 10 of them, (including myself) have experienced Inbox causing Chrome to become unresponsive. I don't see any issues posted, and I have experienced this on multiple orgs. Anyone else have this issue? The issue has been resolved. You should be able to use Inbox again. Sometimes the auto-save happens at a bad time and there is not a way to go back if you make a change you don't want to keep. At this time, you cannot turn off the autosave functionality. However, depending on the block that you are making changes, you can click the Control + Z (Command + Z on Mac OS) which will undo your recent actions. We are looking to provide more complete undo functionality in a future roadmap. 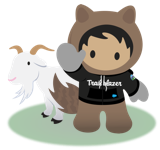 I have a requirment where i need to write a trigger on salesforce chatter field item. When a new post is created in the chatter the trigger should fire and get the values of "User id, topic's included for that post and the text entered in the post" How can i get that.. Please help me out ..
Topic and FeedItem linked to each other through TopicAssignment object. So if you want to get topic name, then you need to query TopicAssignment object with EntityID where EntityID is the FeedItem Id you are getting in trigger. Then you can query Topic object to get topic name. Its not that easy to get topic name as well as feed item together. But its possible if you know apex coding. Using Lightning for Outlook and email attachments are not being added to activity history even though the emails are being added. The add attachments checkbox is checked. I see the message boxes in the lightning for outlook side panel saying that the email is attached. I also see one for adding attachments but the adding attachment message box is gray, not green.